Make snags, not war! Or, make lamb chops. Or some tasty chicken skewers! Back in America in the Sixties, John Ulam began his career in a factory bonding carbon steel for use in weapons. Gradually, life took him in another, completely different direction – and by 1973, he’d founded his very own cookware company, All-Clad. All-Clad’s goal was a simple one: make great quality cookware to the highest standards possible. Well, they've gone and done that. All-Clad's brilliant range of stainless steel cookware is now among America's favourites, beloved by professional chefs and serious cooks all over the world. With that achievement under their belt, All-Clad has decided to create cooking utensils to match their pots and pans and woks and tagines, for an all-round All-Clad experience in the kitchen and on the grill. You’ll be able to cook roasts and turkeys with confidence, thanks to these amazing Turkey Lifters. 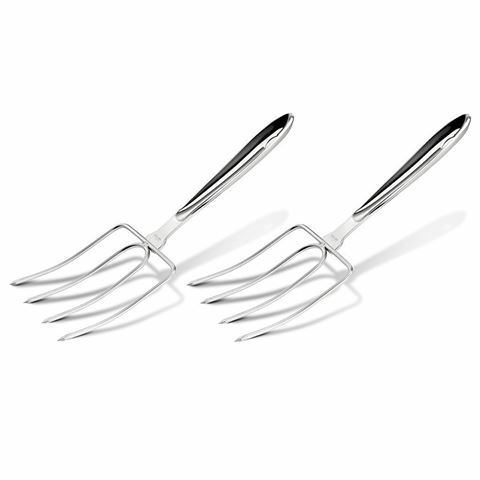 Presented as a set of two, these two large forks are crafted from heavy gauge 18/10 stainless steel, with each fork equipped with four large pointed prongs and a comfortable easy grip handle. The prongs are slightly curved, allowing you to easily lift and rotate roasts and poultry for a simple transfer from the pan to the cutting board. 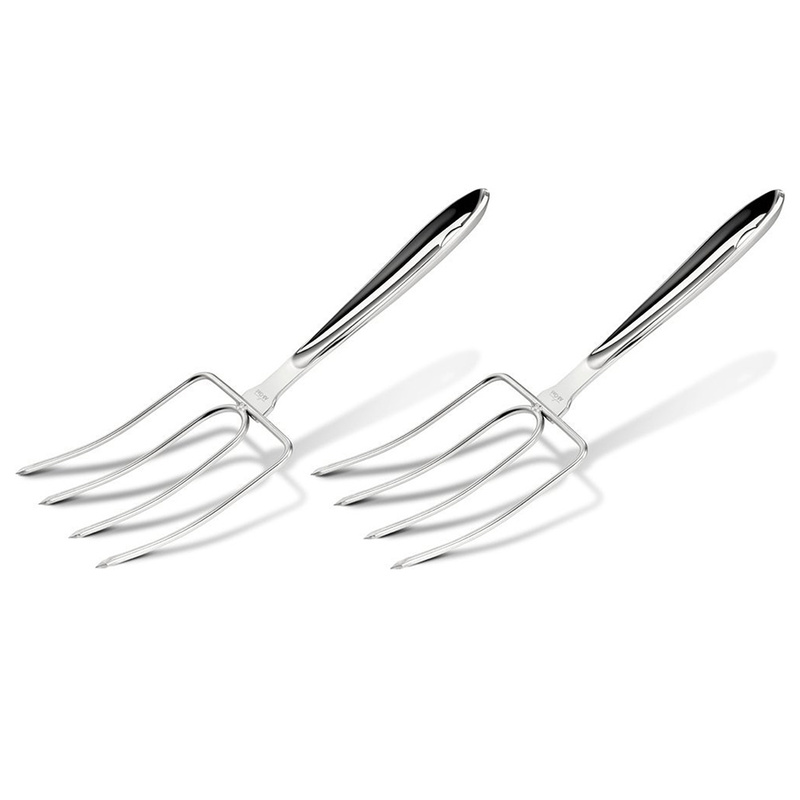 Even better, these lifters double as carving forks, so if you’re after durable and versatile equipment for your turkey dinner, look no further than All-Clad. Crafted from heavy-gauge 18/10 stainless steel. Four slightly curved pointed prongs. Each prong comes with a plastic cover. Allows you to lift and rotate roasts and poultry with ease. Easy transfer from the pan to the cutting board. Lifters double as carving forks. Presented as a set of two in an All-Clad box. Dimensions: 28cm (l) x 12cm (w).